How much is my pallet racking worth? 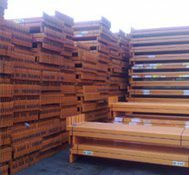 We hold a large quantity of used pallet racking in our 25,000 Sq ft warehouse in Willenhall, West Midlands. Call us on 0800 085 8117 to discuss your requirements, or view our latest stock online. 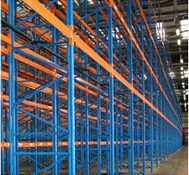 Established over 45 years ago, Pallet Racking Systems specialise in good condition used pallet racking. We purchase, supply and install. All materials supplied have passed our stringent Inspections and approved checklist, once passed and deemed fit for purpose it can be offered to our customers as a cost effective alternative to new pallet racking. We hold an average £300K of used pallet racking stock at any one time depending on current market conditions. All our clients are invited to view our second hand pallet racking materials prior to placing an order to ensure complete peace of mind. Pallet Racking Systems Limited are able to offer our clients a full design service which will maximise your storage needs. Drawing on the experience and expertise of the sales and design team we can offer the most cost effective solutions for your business. 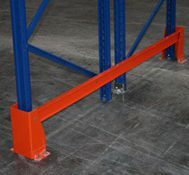 The Pallet Racking systems that we offer conform to the latest FEM 10-2-02 and S.E.M.A design codes of practice which are the standards recognized in the UK and Europe.